How Big Is A Millimeter? 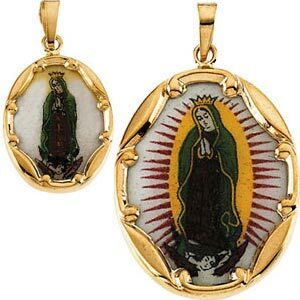 14K Yellow Gold and Porcelain Our Lady of Guadalupe Medal. Patron of the Americas. Hand painted so image shown may vary slightly.